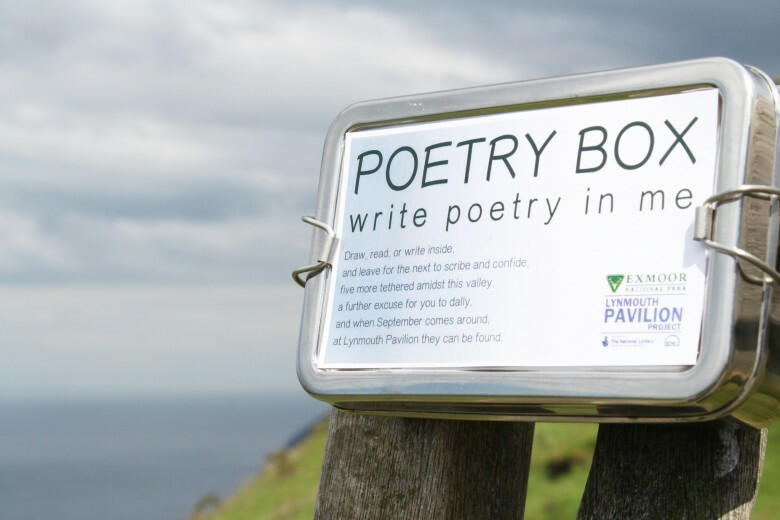 Since 2014, visitors and residents in Exmoor have been scribbling limericks and lines, sonnets and rhymes – and the odd marriage proposal – in poetry boxes left across Exmoor throughout the summer months. These six little tins, each containing a book, a pencil and a sharpener, with the words “Write Poetry In Me” inscribed on the lids, have sparked the imagination of thousands of would-be poets in the area; and three years later, the most inspiring poems and illustrations have been published in a new book, The Exmoor Poetry Boxes – A Harvest of Wild Words. Local poet and storyteller Chris Jelley of Storywalks – who led the project – never anticipated such success. Within five days of the project’s first summer (where the boxes had been placed at Valley of Rocks), half of the tins were already full; words had been scribbled on extra pages – the backs of receipts, pages torn from address books – and stuffed into the tins by resourceful poets eager to show off their poetry prowess. 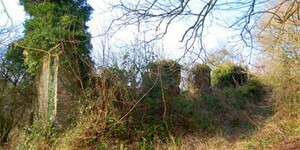 After three months, they had amassed 2,000 poems. The following year the boxes were placed around Tarr Steps, and, this year, scattered around Dunster village. Today, the project has collected over 5,500 poems. The new book, which launched on Monday 21st November at The Bath Hotel in Lynmouth, is supported by the Lynmouth Pavilion Project and Number Seven Dulverton and is published by Fly Catcher Press. You can get hold of a copy of the book, priced at £12, from Number Seven Dulverton and at all three of the Exmoor Visitor Centres at Dulverton, Dunster and Lynmouth. 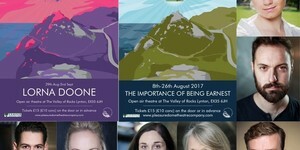 The originals are soon to be displayed in the Lynmouth Pavilion. 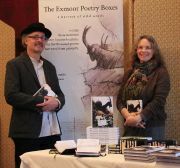 Terms and Conditions for Visit Exmoor "Win a copy of 'Exmoor Poetry Boxes: A Harvest of Wild Words' Competition"
Entry into the Competition is acceptance of these Terms and Conditions. Subject always to paragraph 7, the Competition closes at 23.59 on 15 December 2016. Entries received after this date and time will not be considered. Acknowledgement of the prize must be received by 22 December 2016. Every reasonable effort will be made to contact the winner. If a winner cannot be contacted within 14 days of the close of the competition, the prize may be awarded to another entrant. Details of the prize is as follows: One copy of 'Exmoor Poetry Boxes: A Harvest of Wild Words. This promotion is in no way sponsored, endorsed or administered by, or associated with, Facebook. 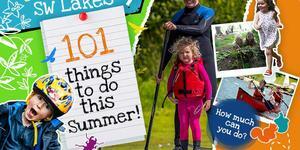 You understand that you are providing your information to Visit Exmoor and not to Facebook. 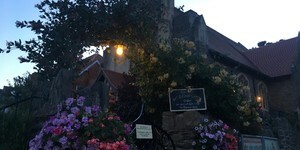 Facebook has no connection with the Competition and the participant is providing information exclusively to Visit Exmoor and not to Facebook. There is no cash alternative or exchange. The winner will be contacted by 16 December 2016 and will be given details of how to claim their prize. 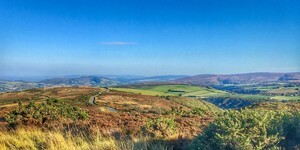 If a winner does not respond to Visit Exmoor within 14 days of being notified, then the winner's prize will be forfeited and Visit Exmoor shall be entitled to select another winner (and that winner will have to respond to Visit Exmoor within 14 days or else they will also forfeit their prize). 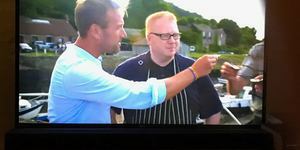 If a winner rejects their prize, then the winner's prize will be forfeited and Visit Exmoor shall be entitled to select another winner. 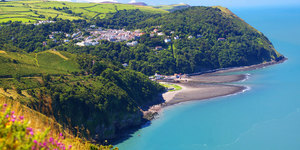 Visit Exmoor retains the right to substitute the prize with another prize of similar value in the event the original prize offered is not available. The winner may be required for promotional activity. The prize is non-exchangeable, non-transferable, and is not redeemable for cash or other prize. 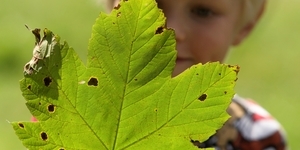 Visit Exmoor reserves the right to change or withdraw the competition and/or prize at any time. Bulk, syndicate, third party, shared or automated entries will not be accepted. 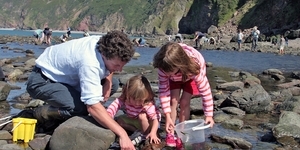 Visit Exmoor reserves the right at any time and from time to time to modify or discontinue, temporarily or permanently, this Competition with or without prior notice due to reasons outside its control (including, without limitation, in the case of anticipated, suspected or actual fraud). The decision of Visit Exmoor in all matters under its control is final and binding and no correspondence will be entered into. The Competition will be governed by English law. 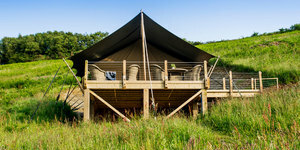 GLAMPING: GIVE IT A GO!